For ages chocolates have been considered to be the greatest treats of love, which is why they are so commonly exchanged between lovers. 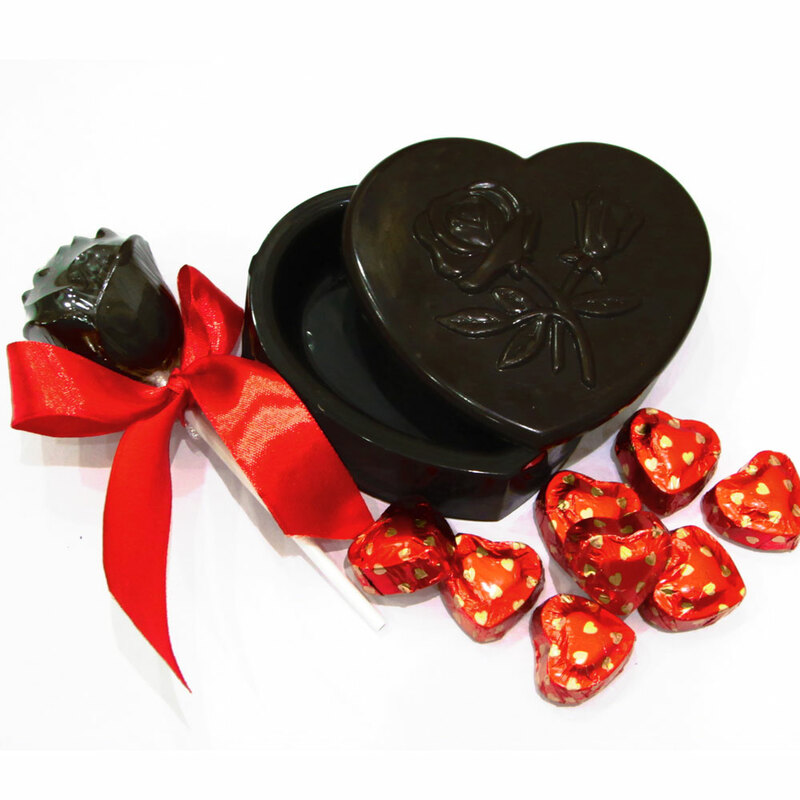 This chocolate Read More..box expresses the same idea with its beautifully carved chocolate rose and 8 heart shaped chocolates placed inside a heart shaped box of chocolate color. Show Less..